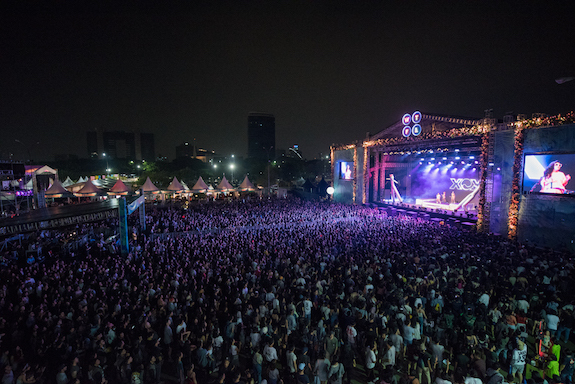 We The Fest 2017 doubled in size over the course of just one year following a relocation to the heart of Indonesia’s capital city, Jakarta. Switching from two days to three this year, We The Fest drew more than 50,000 attendees, which is double the 25,000 party-goers in 2016. This year’s 100% increase in festival-goers for Indonesia’s premier live music festival comes as the event changes locations to the new JIExpo Kemayoran. Wrapping up this year’s festivities on August 16, We The Fest saw patrons from South East Asia, the Asian territory, USA, UK, Australia, Italy, and Brunei Darussalam, atop of the local markets, Indonesia, Singapore, Malaysia, Thailand, and Japan. There’s also a “Beyond The Music” initiative, which is We The Fest incorporating other elements of Indonesian culture within the festival, including food, art, fashion, decor, and more. We The Fest 2018 tickets and lineup announcements can be found on wethefest.com.